Dining room | Mahlerův Penzion "Na Hradbách"
Dear guests, arey ou tired of searching for a menu on a list you don’t understand? We have translated our list in English for you. 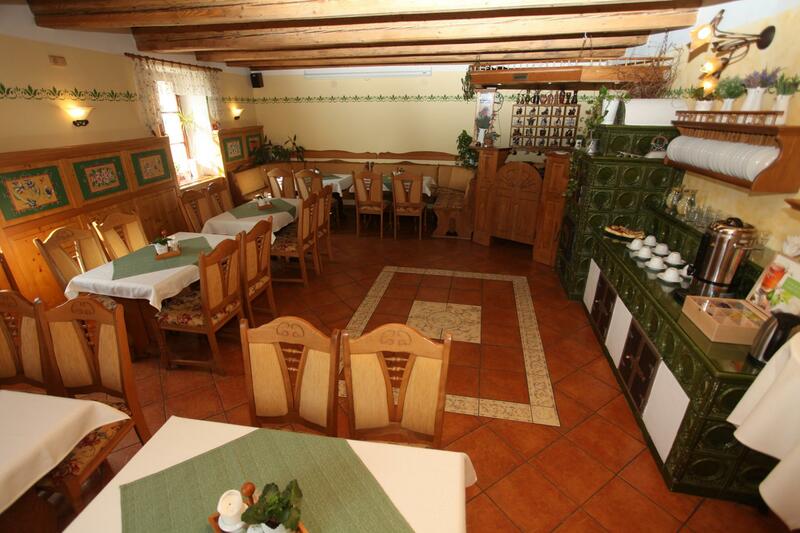 Let us invite you to Mahler's restaurant "Na Hradbách", which still is a real Czech restaurant. For reservation of accommodation, wellness center, restaurant and lounge use our booking form. Write or call +420 602 220 002. We’ll fulfill your wishes while you’re waiting. Miracles in a few days. 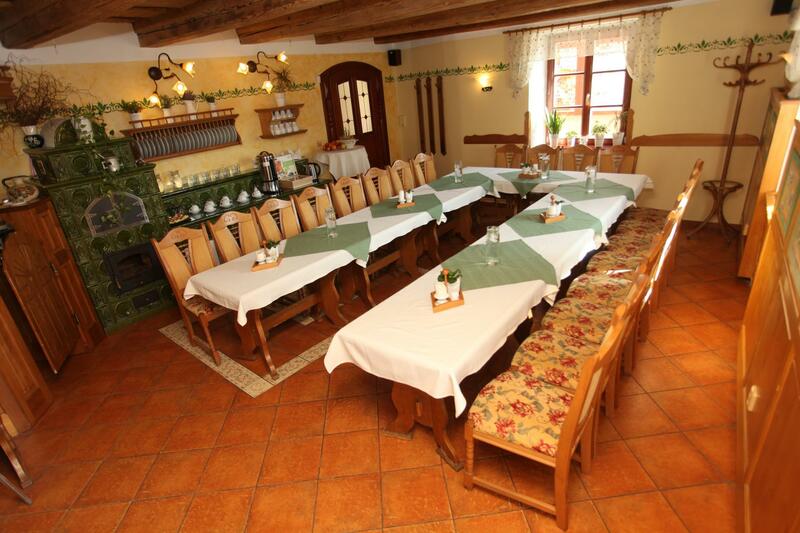 We are very proud of our rustical dining room. 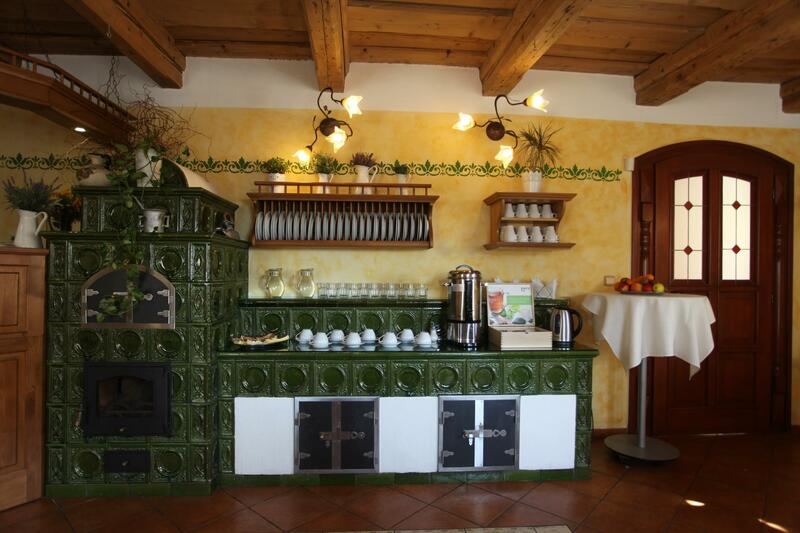 The wonderful tiled stove and the old original wooden ceilings give the room a nice atmosphere and warmth. You can rent it for weddings, family parties, class gatherings or other occasions. The room is equipped with projectors, flipcharts and internet connection. These rooms belong to the restaurant. Mahler's guest house "Na Hradbách" was ceremonially opened on May 13, 2005. The old house, which was designed for demolition, was built on the ground floor with a stylish restaurant and eight above-ground floors with eight rooms. The rooms and commercial spaces are situated in a cozy, rustical style that can attract guests to the exceptional history of the building. 9.9.2006 we enlarged the pension to another building. After nine months of complete reconstruction and superstructure of the old ground-floor house, nine additional rooms and a relaxation center were added to the guests. We strive to keep up with the rising demands of our clients, and we have expanded our relaxation zone in 2012-2013 and opened a new, luxurious wellness center on February 14, 2013 to satisfy even the most demanding clientele. During the building of the family pension we managed to bring five potential followers to this world. 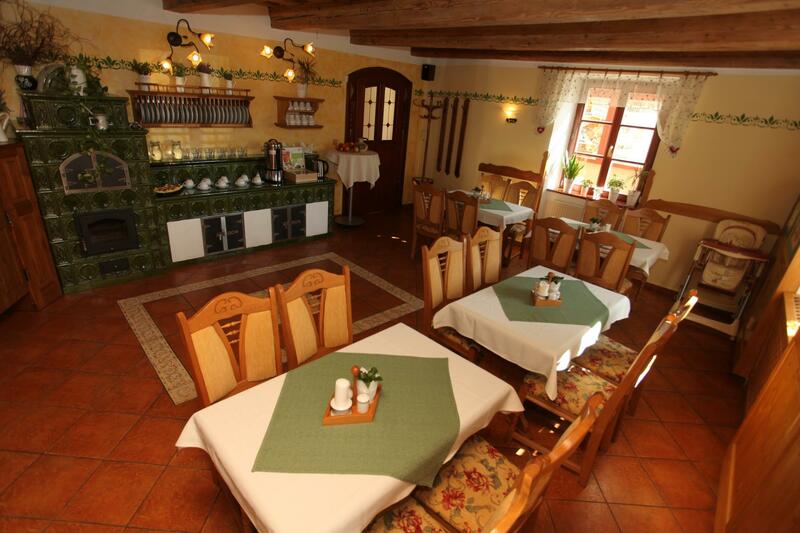 We hope that we will be able to steer the guesthouse in a wave of comfort and our guests will be happy to return. We already have new ideas in our heads that we will try to dazzle you in the future.